As parents we are so willing to give our children all we think they need, rightly so it is our job. We give them food, clothing, and shelter. We fill their emotional needs, kiss their booboos when they're hurting. We do everything in our power to ensure their happiness. I know I do, I would go to the moon and back for my little boogers. Out of all the things I do for them, nothing is more important than me praying over them. One of the very most important thing we can do for our kids is PRAY over them. Prayer is not something we do only when we feel helpless, it is actually their greatest need, the number one way of caring for them. While we are indeed their keeper and provider, it is God who provides all things, and it is God who is responsible for moving in their hearts (Matthew 6:25-33). Praying for our kids ought to be at the top of our priority list. 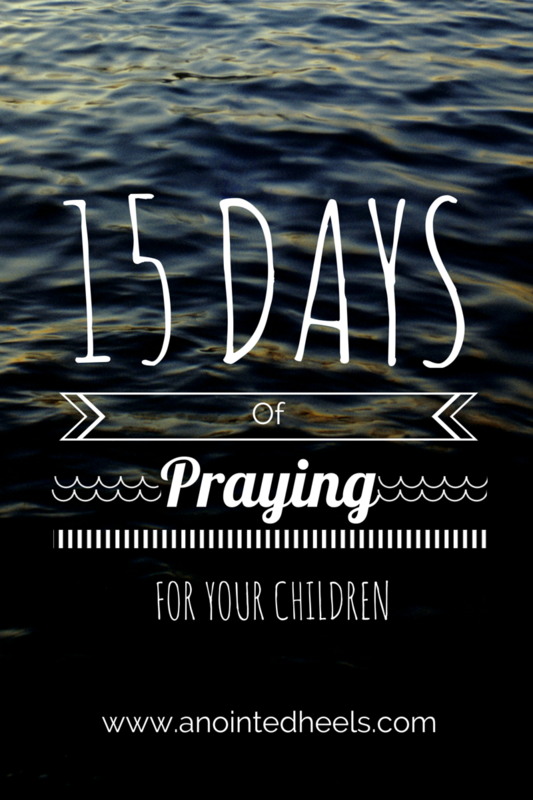 With that said Join me all next week in a 15 days of praying for our children series. in which we will pray God's word over them. Let me know if you will be joining me. United we stand! Use hashtags #15days #prayingMom to share your prayer scriptures. Prayer is so important. It is our strength and allows us to pay forward so many things. It is a great resource for us all, especially parents. I am not much of a praying kind but I can believe it can be helpful for some. I totally agree with you. More than Food, Clothing, Shelter, Money & anything else Prayer should definitely be at the top of our priority list. Thanks for inspiring.